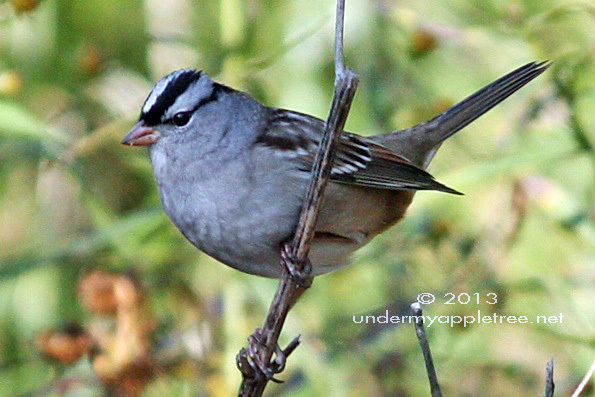 Winter birds have arrived and one of my favorites is the White-crowned Sparrow. They are a medium-distance migrant that can be seen across most of the US and Mexico during the winter and spend the breeding season in Northern Canada, Alaska and the arctic. They are usually be seen scratching around on the ground for seeds in low foliage and shrubby areas and along walking trails. This is a bird that will come to backyard feeders to look for sunflower seeds dropped by other birds. A few times I have found them sitting on my feeder. 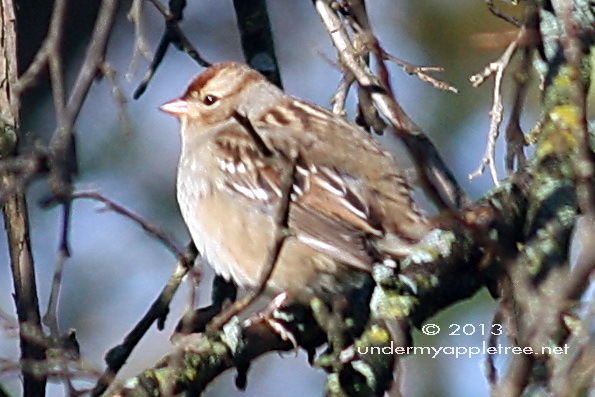 Their distinct white crown with black lines makes them stand out from the ordinary House Sparrow and easy to spot. One of the challenges for newer birders is identifying the young birds that arrive in the Autumn and Winter. Many of them look very much like their parents are easy to identify like robins and doves. Some of them look entirely different. The young White-crowned Sparrow seen here on the right is brown during his first year and will not grow adult plumage until spring. This little guy was all fluffed up soaking in the warm morning sunshine when I spotted him last week. Cool to see the immature bird — very different indeed. I definitely see the white crown on the adult bird. Both photos are awesome, but I love the browns of the young bird! Two great photos, lovely to see the young bird as well, you can definitely see the adult markings, but intriguing that it’s such a different colour. I haven’t seen a white-crowned sparrow in years and had forgotten how pretty their markings are. Great shot, Leslie! A Junco showed up in my yard on Oct 15th. I checked my field notes from 2012 and I saw the first one on Oct. 22nd at the park, so yeah, a little early. 1 week only earlier makes me feel warmer, lol. Once again I am in awe at your photos. These photos are truly picture perfect. 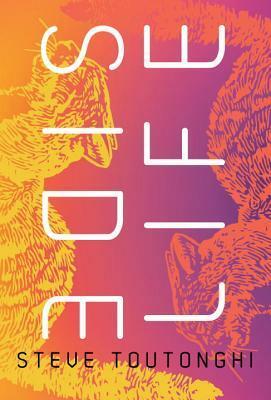 Please publish a book of your bird photographs. They are the best. Don’t think I’ve seen this sparrow before, is it blue? ‘Northern Canada’ means not in my area I suppose since I live in Southern Alberta. The adults are gray. The lighting was giving him a blueish cast. I always manage to find birds with the sun behind them! Southern Canada except for British Columbia only sees them during migration. I often find a few of them traveling with a flock White-throated Sparrows during migration. Chicago is on the edge of their winter range so I do see them in during the winter but not in large quantities.